New York healthcare workers have some of the most demanding jobs. They spend between 8 and 12 hours on their feet, with few breaks to sit down. They have to react quickly, twist and turn fast, and even lift objects (including people). In this type of physical work environment, it is not uncommon for workers to develop injuries. Back injuries, among others, are very common. Finding support for your back injury medical bills or chronic pain is important. If you’re suffering from pain related to your job, please contact Paul Giannetti Attorney At Law for more insight into your workers’ compensation options. We’re here to help you. These are just some of the most common injuries that can occur on the job. Those who work in healthcare in New York, including attendants, nurses, nursing aids, and those in service-oriented positions such as in food service or janitorial services, are at the highest risk for developing these complications. It’s quite common for a healthcare worker to sustain an injury and keep going to help the patient or to meet their jobs’ demands. However, healthcare workers have the right to obtain care for the injuries they suffer on the job. This care should not necessarily come from their fellow staff, but from their own doctor who can fully access and provide treatment options. Workers’ compensation laws require individuals in all jobs to have access to financial compensation for the losses they incur as a result of getting this type of care for their injuries. This includes back injuries. Under workers’ compensation laws, healthcare workers can request coverage for any incident that occurs including falls, strains, and lifting accidents. Some cases are more challenging, such as repetitive motion causes for back pain. In these cases, many healthcare workers may never seek out immediate care for their injury because the pain develops over time. As a result, the individual may not recognize the need for care. Yet, this type of debilitating condition can cause long-term and chronic back pain. 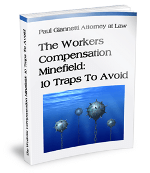 Workers’ compensation coverage can apply to cover these losses as well. Obtaining compensation for these losses can be challenging as most workers’ compensation insurers want to speed up the settlement process. If you have back pain caused by your job in healthcare, you need medical help. You also need support from a workers’ compensation attorney. That’s because back pain isn’t easily treated and generally can linger for years. Treatment options can be extensive, and costs can rise over time. However, if your injury was caused by tasks performed on the job, workers’ compensation should cover all of these losses. Working with an attorney, you may be able to file a claim to help you obtain all of the compensation owed to you. That is critical for those who need to receive ongoing support or those who may not be able to work due to their condition. 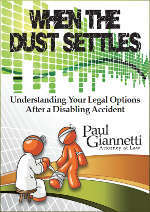 At Paul Giannetti Attorney At Law, you will find a wide range of support for any type of injury you’ve suffered in the line of work, including for healthcare workers. In this demanding and physical job, you may have rights to protect yourself from insurance and long-term pain. Contact us today for a free consultation to discuss your case. Call 866-868-2960 or use our online contact form now.